JERZY DROZD (referred to as "we", "us", "JERZY DROZD" or "Company") is committed to protecting your privacy and processing your personally identifiable information (referred to as "PII" or "personal data" or "personal information") with transparency. The PII we collect and process depends on the purpose of your visit and the service or services you have purchased or otherwise agreed to receive from us. provides an overview of how JERZY DROZD collects and processes your personal information and informs you about your rights according to the local laws for the protection of personal information and the European Union's General Data Protection Regulation (GDPR). For the purposes of this statement, personal information is understood to be any information which is relevant to you, with which your identity is or can be identified and which include, for example, your name, email address, physical address, VAT number, IP address (only when we have collected it in conjunction with directly identifying information) or the information you submit in your e-mails and through the Contact form. 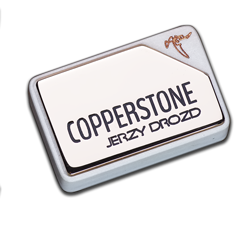 JERZY DROZD is a musical instrument's building and servicing company registered in Spain with the purpose of providing musical instruments and services related to it, with VAT ID ESX0844579L and registered address Finca Molí Vell de Calabuig s/n 17483 Báscara, Girona, Spain. We collect personal information of our current and prospective clients through our web site or by direct contact via email or phone. We never collect information in person, using a third party representative. IP address. Your IP address is temporarily collected whenever you are accessing our site in our web server's logs, our security software's logs and our download system's logs. This information is used to ensure the security of our web site and to prevent abuse. IP address information is not directly identifiable information but if it's stored in conjunction with your user account ID it might be an indirect identifier. Verification / account security. Information provided or generated in the course of setting up and using the Verification system for securing your account's log in. We use this information only for providing the Verification functionality of our site. Any other personal information is volunteered by you in order for us to be able to provide our services to you. You are not legally required to provide it but unless you do we won't be able to provide you the services agreed upon. We process your personal information to provide the services we have agreed upon when you subscribed to our web site. When you are a subscriber or client we automatically process your PII send you automated transactional emails, i.e. reminders about your subscription expiration and any changes in your subscription's status with us. In rare occasions we may send you a personal, manual email to address a concern regarding your registration, purchase or subscription e.g. if there is an unexpected problem with your payment as we are notified by the company processing the payment. While fulfilling our contractual or legal obligations your your personally identifiable information may be conveyed to our partners and subcontractors. These providers and suppliers are in contract with JERZY DROZD with which they are obliged to uphold the confidentiality and protection of your personal information in accordance to the local data protection laws and the GDPR. Google, Inc. 1600 Amphitheatre Parkway, Mountain View, CA 94043, USA. May provide analytics for our site. Only anonymized information is sent to Google. Even as such, it's unclear whether they should be listed as a data processor. The only way to resolve ambiguity is to list them here but clearly state that to the best of knowledge and technical ability we do not send any personally identifiable information to them. Application of early renewal discounts or offers. If you are using existing offer before it expires we will apply a discount automatically. However, this does not use your personal information, just the fact that you have an active account with us. In general, we do not perform any kind of automated profiling of our clients and web site visitors. We provide the same service to everybody. In case of signs of potential abuse we may process your PII on file to create a profile of your usual behaviour to determine if there is a potential problem with your account. We retain your personal information for as long as we have a business relationship with you as evidenced by the existence of an active account or as evidence of purchased JERZY DROZD Creation (musical instrument) or electronic parts or accesories we sell thru our webstore on directly from THE CASTLE. Access your personal information. This lets you for example get a copy of the personal data we keep on file for you and confirm taht we are processing it legally. You can request a copy of your data. Request the correction of the personal information we keep on you. This allows you to correct incomplete or inaccurate information we keep on file for you. This can be done from the My Profile menu item on our site after logging into our site. Please note that correcting your invoicing information is only possible when making a new purchase and the correction is only applied to newly issued invoices only. This is a legal requirement. If you have exercised some or all of your rights to data protection and you still feel that your concerns about the way we use your personal data have not been addressed satisfactorily by us, you have the right to file a complaint by filling in the Contact form on our site. You also have the right to file a complaint with the Office of the Personal Data Protection Commissioner. On the relevant website you will find information on how to file complaints.